Vancouver Island offers the chance at many different fish species at different times of the year in local rivers and lakes. Mid summer through late fall, Vancouver Island rivers are abundant with one or more of the 5 pacific Salmon species. It is not uncommon to hook many Salmon in a day while Vancouver Island river fishing. We offer all methods of fishing for Vancouver Island Salmon from light spin fishing, to float fishing and of course flyfishing. Whenever possible we float in our river raft to access the most amount of our Vancouver Island rivers as possible, but also walk and wade if conditions are more favourable for on foot. 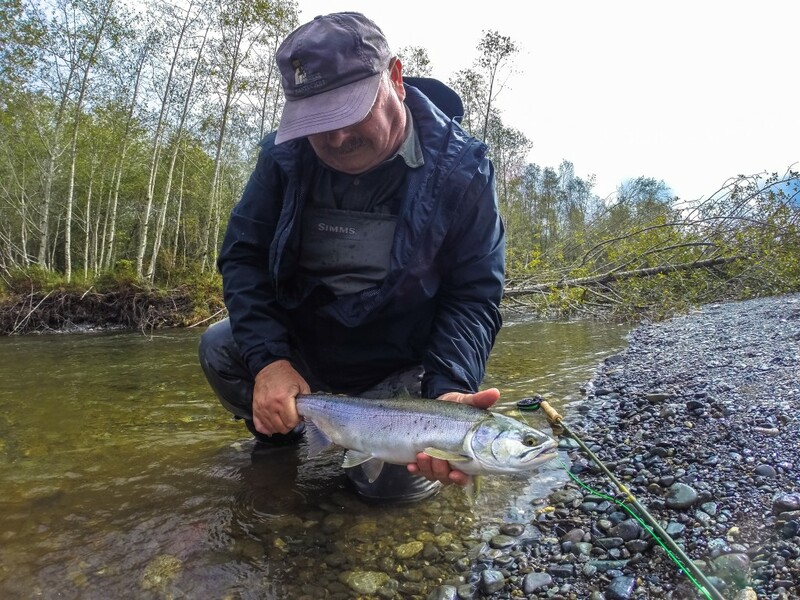 Steelhead are one of the most sought after sport fish in the world, and Vancouver Island Steelhead Fishing is something you’ll never forget. There are two different runs of Steelhead in the Vancouver Island area. One being a summer-run of fish from July to October, and the other being a winter-run of fish from December to April. 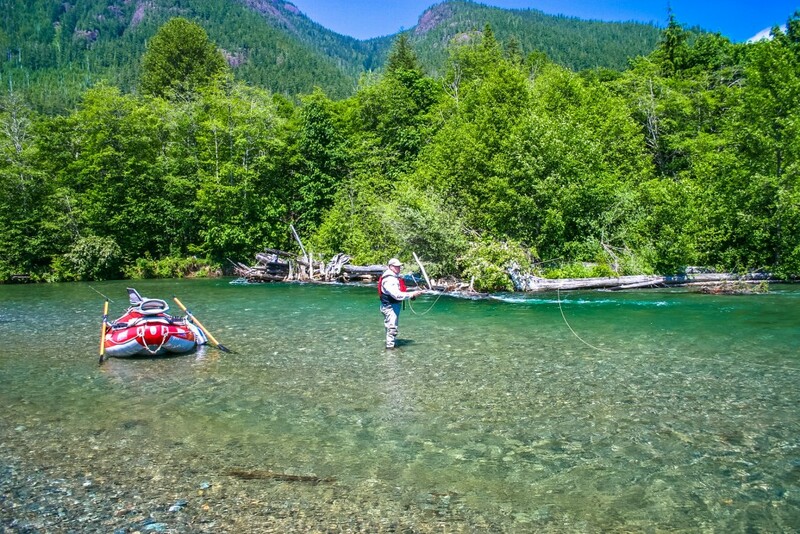 Most of our Steelhead trips are on the world-famous Gold River here on Vancouver Island. The Gold River hosts one of the most amazing 100% wild Winter Steelhead runs in all of North America. 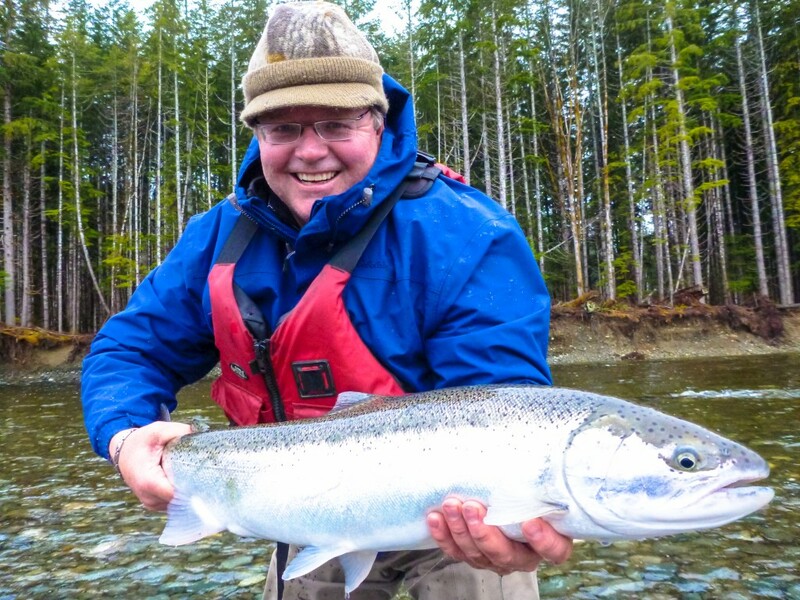 Winter-run Vancouver Island Steelhead range in size from 5 pounds to 25 pounds. Winter Steelhead are one of the hardest fighting freshwater fish that reside in Canadian waters, Vancouver Island Steelhead will bring an angler to their knees! Summer-run Steelhead range in size from 3 pounds to 15 pounds, and have a very explosive nature. We primarily target Vancouver Island summer-run Steelhead on the fly, as warmer waters of the summer months produce more aggressive fish. We always suggest the most productive type of fishing for the time that you are here, but will accommodate your wishes for certain methods and species. 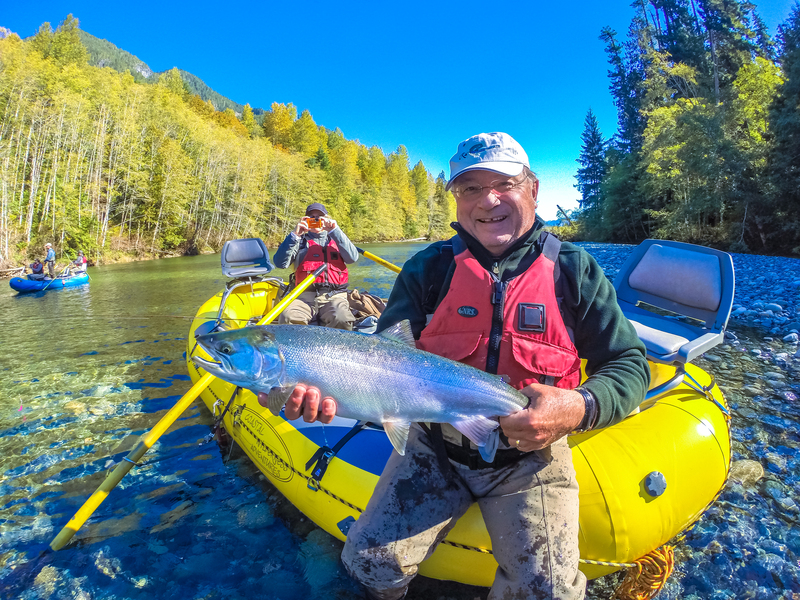 We want you to enjoy our Vancouver Island Salmon in any way possible, and our Vancouver Island fishing guides are well versed and skilled at all local methods of fishing for Vancouver Island Salmon to ensure your success.